The Chapel of Our Lady of Tanya was a hermitage until the end of the nineteenth century. Today this chapel has become the second church for the parish of Laroque des Albères. The early romanesque style chapel dates from the ninth century and is dedicated to the Virgin Mary. At that time the area was called the 'Tanyarède' which means 'an area planted with cherry trees'. This was the initial site of the village prior to its present position on the 'rock', from which Laroque takes its name. This chapel was built on ruins. 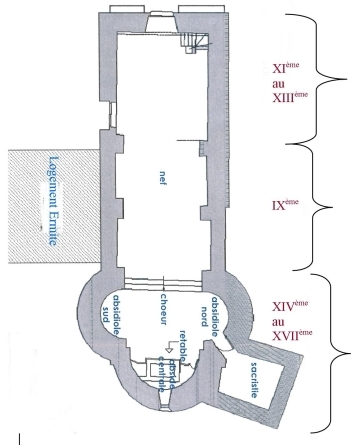 - ninth century: initial construction of the chapel consisting of a double spanned nave and a chevet with three apses. - eleventh to thirteenth centuries: extension of the nave towards the West with a large vaulted bay. - fourteenth to sixteenth centuries : construction of the vestry between two apses. Construction of a hermitage and a door opening to the south which became the main door of the chapel. - 1770 : Development of the hermitage into a lodging which still exists today. Restoration of the facades is being undertaken at the present time. To the North, there was a cemetery. Bones were found in the nineteen seventies when the area was developed for housing and the road was being added. But archeological excavations were not carried out. 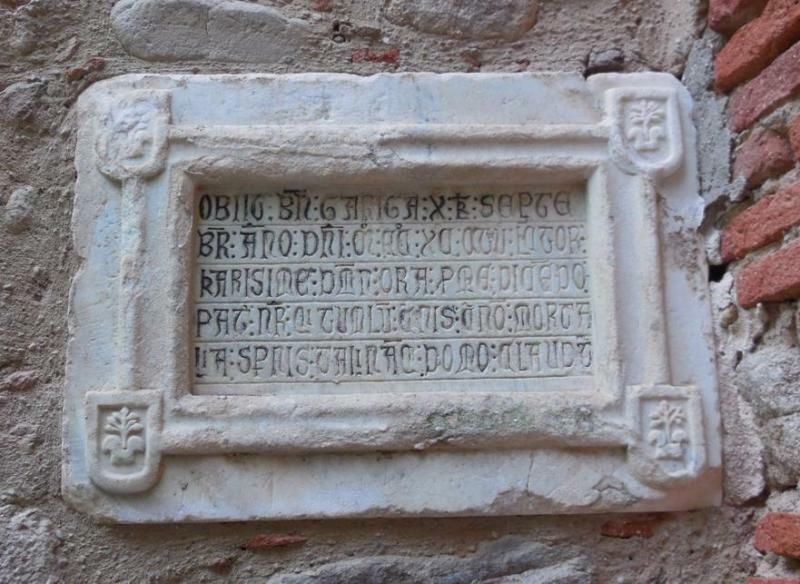 Set into the exterior wall near the southern door is a plaque with an inscription dedicated to Bernard Garriga, an important person of Laroque in the eighteenth century. 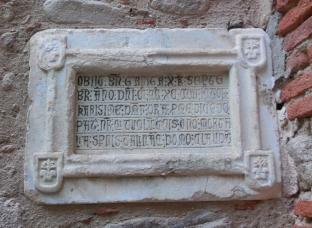 At the four corners is the first representation of the coat of arms of Laroque (Roc of a chessboard). The polychrome wooden altarpiece was completed in 1771. It was restored in 2006-2008. At the heart of the central niche is a plaster statue of the Madonna and Child. The altar table is surmounted by four tiers with and in the center, there is the tabernacle. The altarpiece is crowned by God the Father above the head of an angel. On each side, there are two apsidioles, each containing a small altar. The high altar was used until the years 1960-70, at a time when the priests turned their backs on the parishioners to say mass. Another altar has since been added for the priests to face the congregation. Among the statues adorning the walls of the chapel is one of Saint Expédit, reputed to be the patron saint of businessmen as well as students during examinations. The inhabitants of Laroque, including the young, came regularly to pray. The feast of Our Lady of Tanya is celebrated every year in early September. The mass is followed by a communal meal under the plane trees of the chapel, and afterwards a concert.